On the occasion of Blondie's fortieth anniversary, Chris Stein shares his iconic and mostly unpublished photographs of Debbie Harry and the cool creatures of the '70s and '80s New York rock scene. 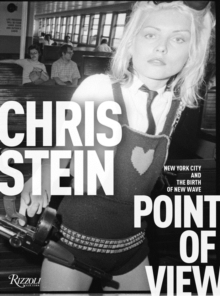 While a student at the School of Visual Arts, Chris Stein photographed the downtown New York scene of the early '70s, where he met Deborah Harry and cofounded Blondie. Their blend of punk, dance, and hip-hop spawned a totally new sound, and Stein's photographs helped establish Harry as an international fashion and music icon. 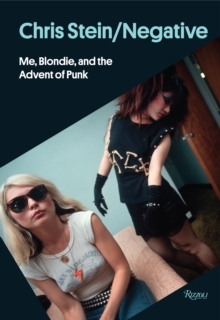 In photos and stories direct from Stein, brilliant writer of hits like Rapture and Heart of Glass, this book provides a fascinating snapshot of the period before and during Blondie's huge rise, by someone who was part of and who helped to shape the early punk music scene-at CBGB, Andy Warhol's Factory, and early Bowery. Stars such as David Bowie, the Ramones, Joan Jett, and Iggy Pop were part of Stein's world, as were fascinating downtown characters like Jean-Michel Basquiat, Richard Hell, Stephen Sprouse, Anya Phillips, Divine, and many others. As captured by one of its greatest artists and instigators, and designed by Shepard Fairey, this book is a must-have celebration of the new-wave and punk scene, whose influence on music and fashion is just as relevant today as it was four decades ago.